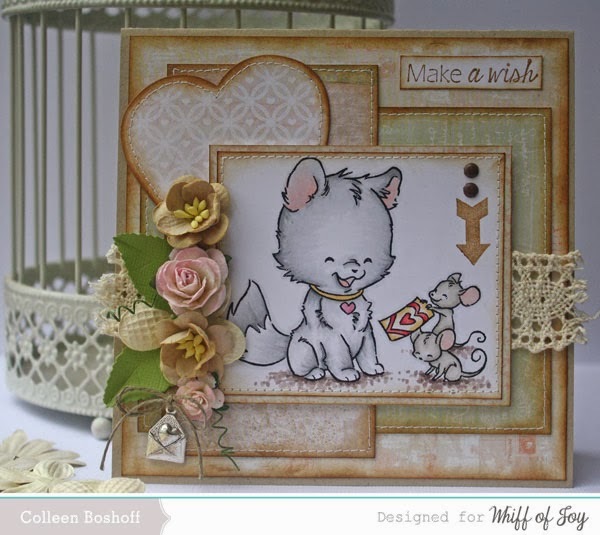 Hello everyone, welcome to Whiff of Joys first day of sneak previews. Another gorgeous release this month, they will be available on the 20th January and we will be having a blog hop so make sure you come and join us! My first sneak peak is 'Kitty Love'. The arrow stamped on the image and the sentiment are a new release to, they are WOJ's 'Birthday Phrases', the heart tucked behind the image is a new WOJ Die-Light which is a set of five different sized hearts. The papers are Prima Delight, lace from my stash, flowers are Wild Orchid and the charm and button twine are WOJ. Thank you for stopping by, don't forget to visit the rest of the WOJ Design Team for more sneak peeks! Your card is lovely. 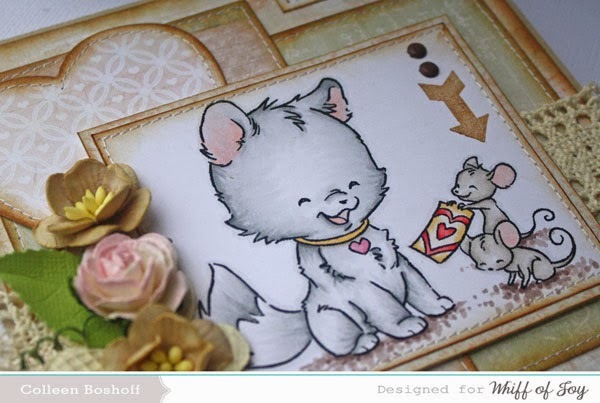 This is just the cutest stamp - the WOJ kitties are always adorable. Adorable card. This image is so cute! Gorgeous card sweetie. Love it! Very fresh and springy. Darling little charm to boot. Very fantastic creation, looks wonderfull!